Medical microbiology explores the world of microorganisms, including bacteria, viruses and parasites, and how they interact with both humans and animals. This degree program provides you with excellent academic training and laboratory experiences in the areas of microbiology, infectious disease and public health. Graduates are prepared for successful careers in biotechnology or public health, or for entry into graduate school or health professional programs. 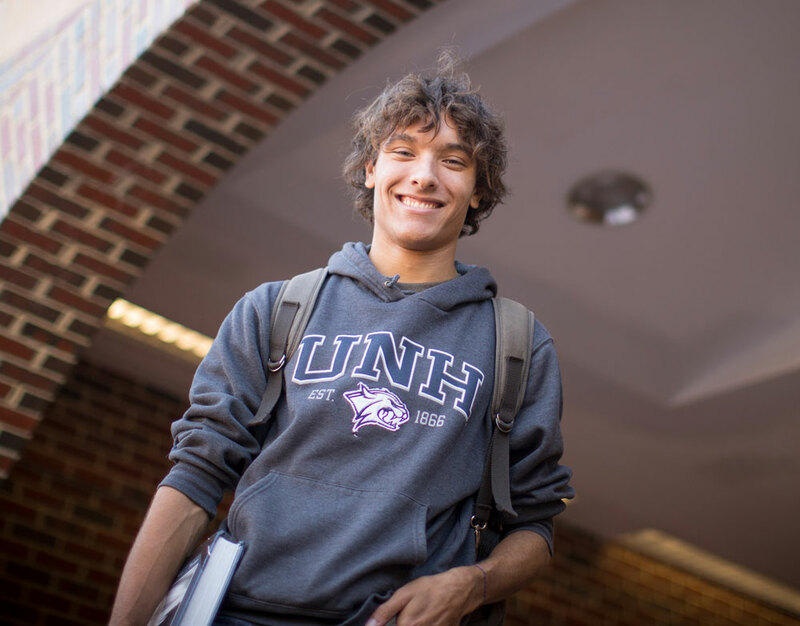 Why study medical microbiology at UNH? Students receive outstanding academic preparation and intensive lab experiences that position them for successful careers. The Medical Microbiology major has highly experienced faculty with demonstrated excellence in teaching, research and career guidance. Students have access to state-of-the-art facilities in faculty research labs, the Hubbard Center for Genome Studies, the University Instrumentation Center, and the NH Veterinary Diagnostic Laboratory located on campus. Internships are possible at biotechnology companies in the Greater Boston area or at the NH Department of Public Health Laboratories. As Sydney Snelling ’19 prepares to graduate this spring, she reflects on all the amazing opportunities she’s had at UNH, including an internship at Lonza Biologics for two summers in a row. Audrey Berenson ‘19 began working in a faculty research lab in 2016. She's been studying Vibrio parahaemolyticus bacteria in local oysters. Avianna Guerrero is determined to be part of future a scientific discovery or medical breakthrough. Colin McGonagle is excited by the growth in his chosen field and the potential impacts new disoveries are having on public health, medicine, agriculture and environmental production. The Biomedical Science: Medical Microbiology program (BMS:MM) explores the world of microorganisms and how they interact with both humans and animals. This major provides you with excellent academic training and laboratory experiences in the areas of microbiology, infectious disease, and public health. BMS:MM graduates are prepared for successful careers in the biotechnology or public health, or entry into graduate school or health professional programs. Students in the Medical Microbiology (MM) option take seven Foundation courses, five Bioscience Core courses, four BMS:MM Core courses, and five BMS:MM Major Elective courses. One capstone experience, supervised and approved within the major, is required of all seniors. 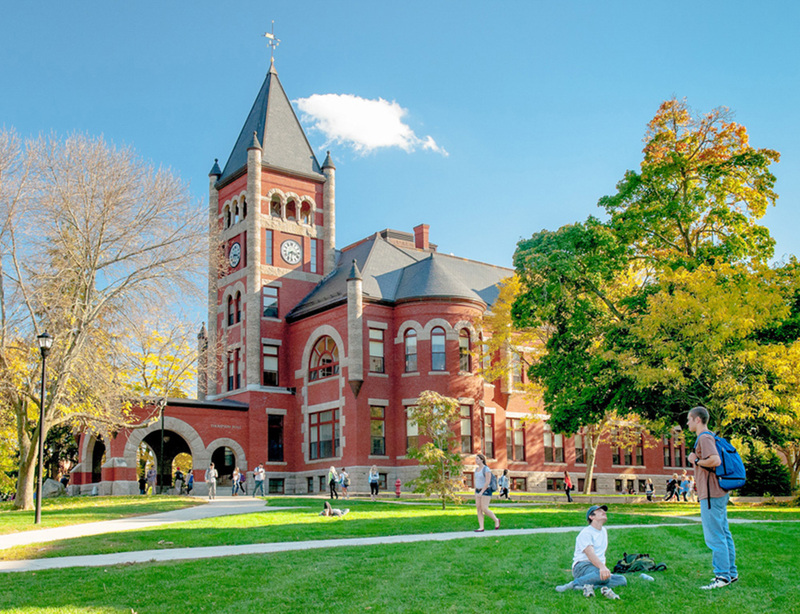 In addition, all other University academic requirements must be completed, including those for the Discovery Program and the University Writing Requirement. A grade of C- or better is required in all Bioscience Core, BMS:MM Core, and Major Elective courses. Students applying to health profession schools need a full year of English, a full year of Organic Chemistry, and a full year of Introductory Biology. ENGL 502 or 503 should be taken in addition to ENGL 401; CHEM 651/653 and CHEM 652/654 should be taken in place of CHEM 545/546. MATH 424B fulfills the Quantitative Reasoning Discovery requirement. PSYC 402 and SOC 502 are acceptable alternatives. PHYS 401 fulfills the Physical Science Discovery requirement. BIOL 411 fulfills the Biological Science Discovery requirement, Discovery Laboratory requirement, and the Discovery Inquiry requirement. Required for first-year students only. A total of five unique major elective courses is required. At least one course must be taken in each of the following subject areas: Host-Microbe Interaction Elective, Molecular Biology Elective, and Community Elective. Two additional courses are taken from any of the major elective subject areas. Course may be used as a Host-Microbe Interaction elective or Molecular Biology elective, but not both. The capstone explores areas of interest based on the integration of prior learning. The capstone requirement may be satisfied through a course, created work or product, or some form of experiential learning (e.g., honors thesis, mentored research project, or other special student activity). The capstone requirement can only be fulfilled once a student has senior standing in the major. For a Capstone experience not listed above, such as an internship, submit a Capstone Experience Approval form prior to beginning the experience.